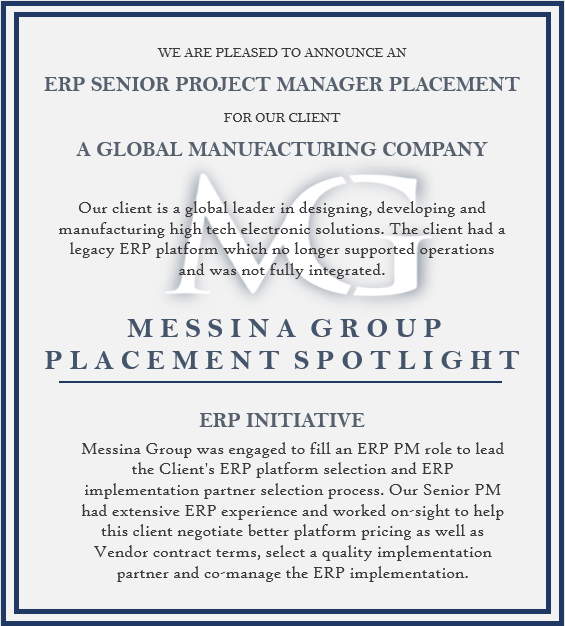 Messina Group was engaged to fill an ERP PM role to lead the Client's ERP platform selection and ERP implementation partner selection process. Our Senior PM had extensive ERP experience and worked on-sight to help this client negotiate better platform pricing as well as Vendor contract terms, select a quality implementation partner and co-manage the ERP implementation. 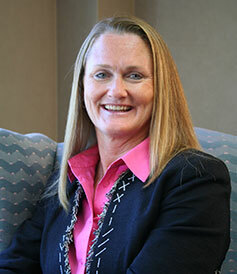 Ellen Mullarkey is a Vice President of Business Development with Messina Group. Ellen joined Messina more than 25 years ago after graduating from the University of Iowa. She has been instrumental in establishing and expanding Messina’s staffing divisions. Ellen is a past president and long-term board member of Hephzibah Children’s Association. In addition to being actively involved in River Forest Youth Baseball and Softball, Ellen has served as the tenured volleyball coach for St. Luke School, is a member of the St. Luke Women's Club and actively volunteers at PADS homeless shelter.